Do we need National Therapy ? From the many government crises in Lebanon, to the lame duck US congress sessions,it looks as though politics and diplomacy are Broken. When was the last time you thought to yourself: "Politics just work" ? From the many government crises in Lebanon, to the lame duck US congress sessions, while not forgetting the numerous conflicts and power struggles around the world (Tunisia, Sudan, Palestine, Iran,.. to name a few) it looks as though politics and diplomacy are Broken. Democratic governments around the world are having an increasingly harder time to get anything done, conflicts are escalating even when escalation seems to be the least profitable strategy, and for a few moments every year, politicians in conflicts around the world give us a glimpse of false hope through backstabbing maneuvers that can only remind me of 'The War Of The Roses'. Politics is a game of coalition and collaboration: In order to get anything done, you need a certain amount of consensus among the different "players". It is also a game you don't get to play unless you win the elections: a competition. What most winning election strategies seem to lack however, is foresight. If you paint your opponents as "the enemy" during the elections, it will be all the more difficult for you to reach a consensus with them when it's time to sit down and get some work done. Everything you say, no matter how honest, will be interpreted as an attempt to lure the others into a trap. Look at consensus mechanisms: They have evolved into deadlock strategies. In order to ensure the extension of the Bush-era tax cuts, the American republican party froze votes on any legislation (even health care reform for 9/11 first responders), until the Democratic party yielded. The same dynamic can be, and has been observed time and time again in Lebanese politics. It looks as though democracy has turned into some sort of civilized hostage situation. Is it because "democracy doesn't work" ? I don't think so. Granted, democracy has its flaws, a lot of them actually. This problem however is not inherent of democracy itself, it is simply a bi-product of the lack of trust that has infiltrated most political and diplomatic processes. You simply can't win a game of coalition when you have mutual distrust. 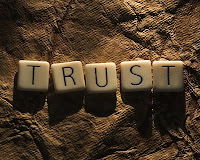 And granted, in war situations, trust is a hard commodity to come by. So how do we go about fixing this mess ? It is said that most problems are problems of communication. Naturally, some are not, and so improving the way we communicate is not going to make the world a better place in a hippy "kumbaya" sort of sense. It can make politics and diplomacy work better though. It will at least keep paranoia away from the negotiation table. Your vision is pretty theoretical, and I would love to see it work. But what if the actual problem was in the personal interests of a party Vs another and not the miscommunication... and your main concern as a public figure is not the nation?! Great topic. I would love to see a sequel soon. In the meantime, what are your thoughts on these points? 1. Not all games can be optimized with coordination. Some require cooperation. Changing the way we communicate may not be enough if we don't change some of our attitudes, values, and beliefs. 2. Perfect information (even if communication could lead there) is not sufficient when optimizing conflicting objectives. 3. To echo Bassam's point. Reverse optimization studies of private companies have shown that the actions of top-decision makers are more in line with individual self-preservation than with the future of the company, or even shareholder value. Similar results can be expected in the public sector. 4. As you point out, the phenomenon you describe is not unique to democratic or capitalistic systems. However, it is not a new phenomenon either, as you seem to imply: "increasingly harder", "has infiltrated". It has always been inherent to power dynamics and delegated decision making. Diverging ideologies are natural, and improved communication will do nothing to change that. What will change however is the way that these differences are addressed. Argumenthol I'll answer your last point first: This is certainly not a new phenomenon, however we have taken the fever of the "witch hunt" to mundane divergences of opinions, and in that respect, it is "increasingly harder" to get anything done, since even for the simplest issues that we used to be able to have a somewhat honest discourse (as much as politics allow at least) we are now using massive media campaigns to discredit the "others" in a way that reminds me of the expression "killing a fly with a canon". The problem is not only the fact that we resort to these tactics, but also that we tend to resort to them for increasingly mundane things. Now as for the argument of changing our attitudes and beliefs, I'll simply say this: believing that the "other" is out to get you every step of the way does a pretty good job at messing your willingness to negotiate a compromise. "We will not negotiate with the enemy" seems to be the operative word here, even though the word "enemy" is certainly not appropriate half the time. Finally, better communication will not lead to perfect information, this is politics after all. And we will always have divergences in beleifs and interests, and these will always be problematic. All I'm saying is that we need to improve the medium through which we barter our deals and compromises. PS: It will be a while before I write the sequel, but it's coming..